N ew York transplants and wannabes love to complain about the lack of good pizza in Philadelphia, probably because they’re too distracted by Wawa and cheesesteaks. 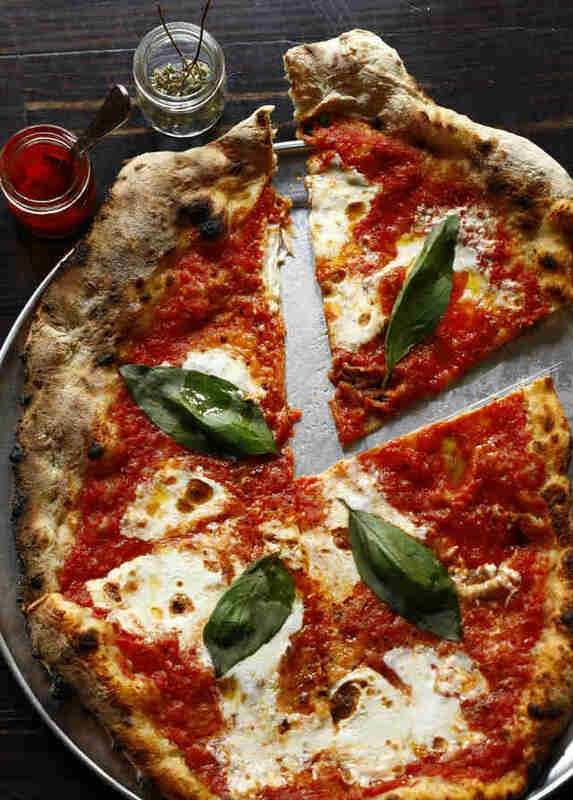 The supposed pizza shortage couldn’t be further from the truth, however -- head to most neighborhoods in Philly, and you’re bound to be at least ordering distance from your next pie obsession. 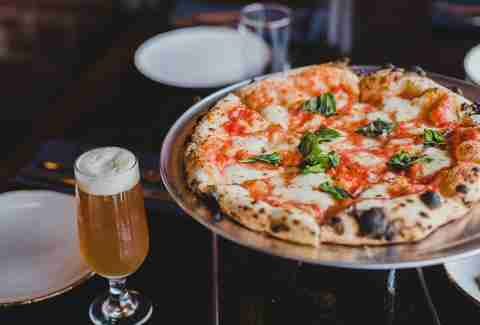 Whether you prefer Neapolitan slices, thick square pies, an onslaught of tomato sauce, or a classic hand-tossed pizza paired with a beer, Philly’s got you covered. 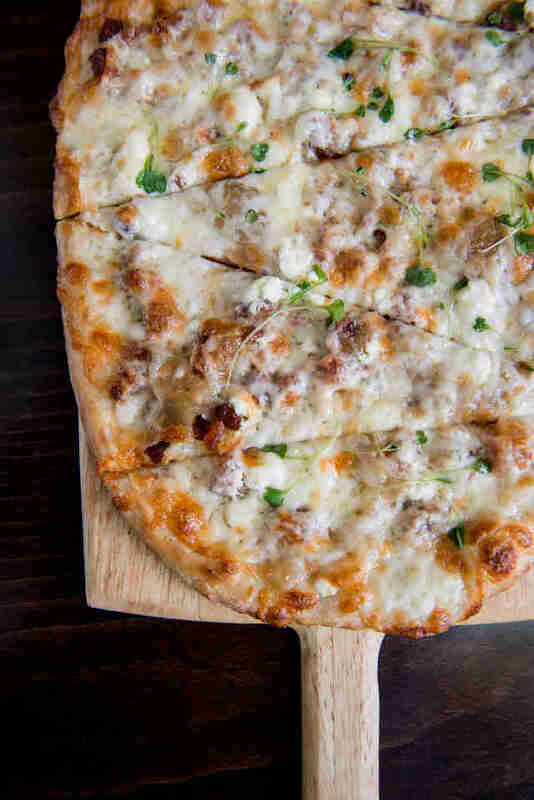 Nomad prides itself on using local organic produce and natural meats to make its delicious pizzas, leading the eatery to be considered one of the best in the vicinity of South Street. Even better, the spot offers a decent selection of craft beer, which comes in handy when you’re washing down a Spicy Sopressata (margarita pizza with sopressata, honey, and sea salt). Inspired by the cuisine of Naples, In Riva delivers savory Italian dishes like wood-fired pizza and small pasta dishes to get you started. For a twist on the traditional margherita, add crab and chile to your pizza (and keep your water supply close) -- but whatever you get, try to snag a seat on the sweeping outdoor deck. You should definitely start with the Rotolo, which comes in a cinnamon bun-like shape and uncoils to reveal the perfect medley of pizza dough, mortadella, ricotta, and pistachio pesto. Save room for personal or shareable sized pizzas, including the signature Melanzana pizza with San Marzano tomatoes, eggplant, and stracciatella. Bon Appétit's best pizza in America circa 2015 lives up to the hype, even if you don’t want to believe it when you’ve been standing in line to order for over an hour and just heard that the 40-pie-a-day quota's been reached. 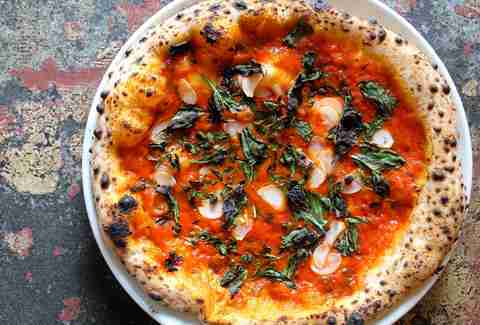 The final product is a perfect blend of artisanal Neapolitan style pizza and more casual hand-tossed pies. Once the pizza is acquired, take it across the street to Garage (where you can BYOF). This narrow, bi-level restaurant fills up quickly thanks to artfully made pizzas incorporating unexpected ingredients, as well as locally inspired desserts like the signature budino. 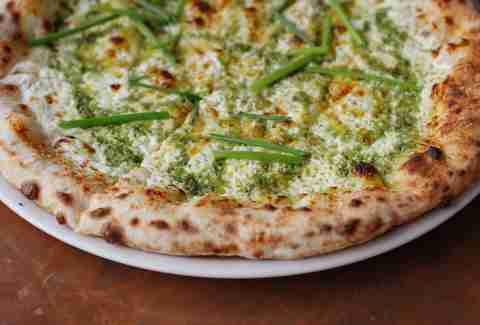 For pizza, try the Uovo if you want “secret” white sauce, Parmesan, fresh greens, and a truffle farm egg as the cherry on top. 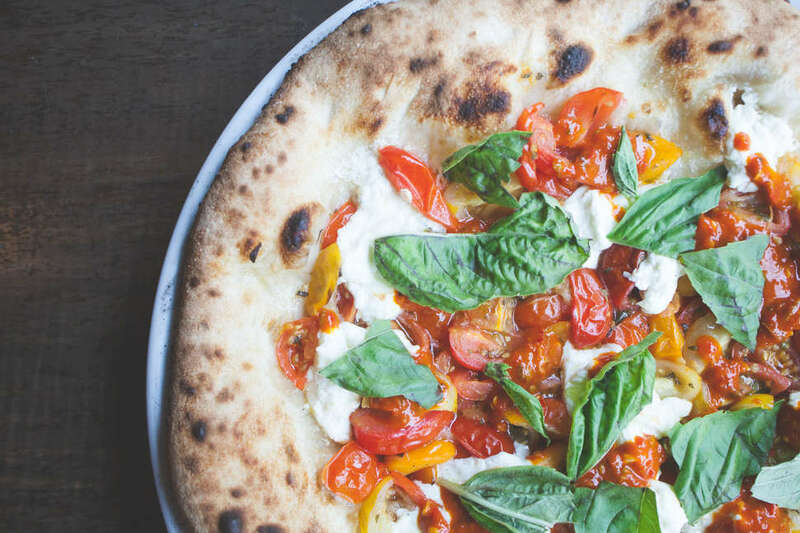 Capofitto is no stranger to the Philly dining scene thanks to the best gelato in the city you can snag at Capogiro, but since adding a wood-fired oven into the mix, the spot has upped its game with Neapolitan-style pizza and perfectly paired wines. 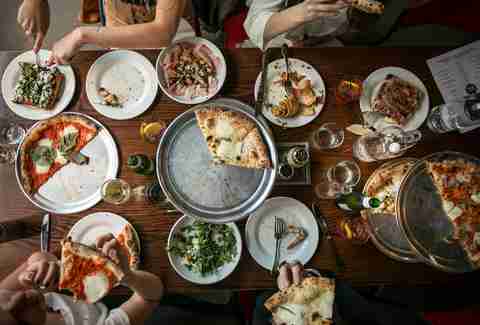 Pretend to be healthy with one of the thin-crust Neapolitan pizzas, or go for the heftier thick-crust Roman pizza options -- the fact that one pizza shop in Philly does both successfully is reason enough to be on this list. It’s also the perfect pre-meal for a show at Union Transfer. Believe it or not, that's a wood-fired pizza that came from a food truck. Score an 11-inch personal pizza made to your specifications at stops around the city, most frequently in the food-truck haven that is University City/Powelton Village. You can also spot it rolling around 30th Street Station, Fairmount, Bella Vista, and Mt. Airy -- this truck is busy! The pies at Brigantessa are served unsliced, meaning you can go nuts and pull them apart with your hands like you’re in Europe if you want to. Of course, your server will happily slice it if you prefer, and it tastes just as good. Anything with Piennolo del Vesuvio tomatoes is worth an order, and you can even get risky and douse it in Chilean oil if you really want to clear those sinuses. Sneak in a few slices from Luigi’s before a night of bar crawling in Fairmount, and you’re in line to have some of the best, fastest thin slices in town. 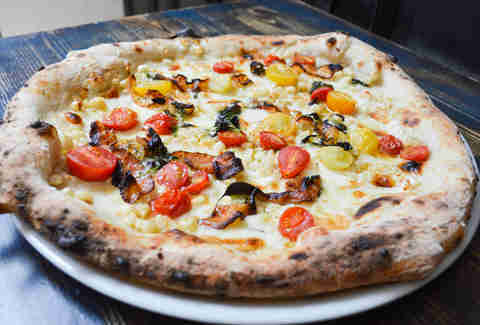 You can also fill up on stuffed pizza like the grilled veggie and meat pie, if you’re ravenous for a feast. The spot also opens everyday at 10am, so if you’re in the market for a late breakfast pizza, you’re in luck. Square tomato pie is definitely not for everyone, but if you’re an advocate of the red, look no further than Santucci’s. Take in the satisfying crunch of the thick crust as you find all the oozing mozzarella hidden underneath that sauce. You can also score these slices at Santucci’s North Broad restaurant, and another location is coming soon to Roxborough. This thin-crust pizza is dope, but a visit here also comes with bonuses: a walk into Philly’s only PIZZA MUSEUM, and a passageway into Little Baby’s Ice Cream, which happens to make the perfect dessert. Try the whiz cheesesteak slice special, if you’re in the mood to truly test the limits of your stomach capacity. Before you get all bent out of the shape about how the Main Line isn’t actually the city, just take the freaking Norristown High Speed Rail out to Bryn Mawr and walk around the corner to Biga first. The beer selection features an unreal assortment of imported and local brews, and the ever-shifting seasonal pizza menu will have you singing the accolades of suburbia. 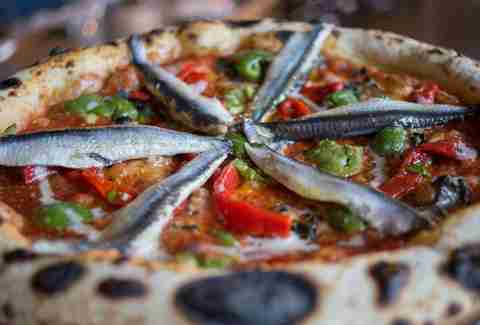 Gluten-intolerant pizza lovers, we have found your salvation! Not only does Couch Tomato offer fresh ingredients atop unique signature pizzas big enough to feed a crowd, but customers can opt for gluten-free or whole-grain crusts, both of which are ideal if you want to pretend pizza is still part of your diet plan. Try the Godfather: a perfectly savory, prosciutto-topped-with-spinach masterpiece. This longstanding Northeast institution has been running for 60 years and counting, and neighborhood loyalty goes a long way here. Bring your dollar bills to this cash-only joint and try the signature (and quite large) tomato pie: It'll keep you full all day, and your wallet will thank you as well. Tacconelli’s is another Philly institution that spans generations, its doors first opening in 1946 and supplying tomato pie to the masses ever since -- if you’re not into tomato pie, though, you can opt instead for the regular, white, or margarita pies. This is a one-oven operation, so wait times can be a gamble, but that oven has enough history to rival any Philly landmark. Marielle Mondon is a writer from Philadelphia who was raised on bread and cheese. Follower her @MarielleMondon on Twitter and Instagram.